Dr. Vernard Lewis reflects on a 26-year career at the University of California, Berkeley. Saying that he’s “had a blast,” Dr. Vernard Lewis reminisced with Pest Management Professional (PMP) about his 26-year career as an entomologist at the University of California, Berkeley’s Richmond Field Station. It’s a good time for Dr. Lewis to look back, because he plans to retire from Berkeley in June 2017. Until then, he has one more big “blast” coming on Oct. 17, when he will be inducted into PMP’s Hall of Fame. Dr. Lewis, 65, was bitten by the entomology bug at age 5, and collected insects in kindergarten. 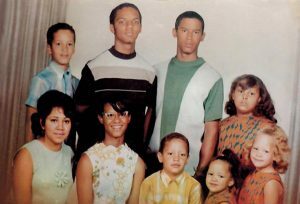 The Minnesota native spent seven years with his grandparents in Fresno, Calif., then moved back to Minneapolis for middle school and high school. As the oldest of 10, his bug-collecting hobby was something that was his alone, something he didn’t have to share. When high school counselors told Dr. Lewis he wasn’t smart enough to go to college, he decided to prove them wrong. 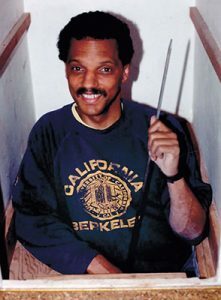 He arrived at Berkeley as an undergrad in 1972, kicking off what has been nearly a half-century relationship with the university. At Berkeley, Dr. Lewis earned his bachelor’s degree in agricultural sciences in 1975, his master’s degree in entomology in 1979, and his Ph.D. in 1989. He joined the Berkeley faculty in urban entomology in 1990. He recalls how happy he was to be offered the job. 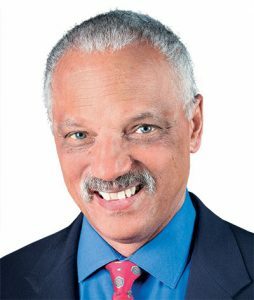 To help pay for his doctoral studies, he worked at San Quentin Prison as the head of the pest management department from 1986 to 1988 (Editor’s Note: See PMP’s June cover story for more on his experience there). Dr. Lewis was also part-owner of IPM Systems at that time, and says he has maintained his state pest control licenses since 1982. Drs. 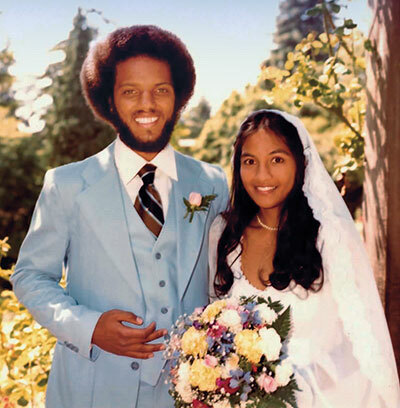 Vernard Lewis and Lisa Kala on their wedding day in July 1979. Dr. Lewis has vivid memories of battling bed bugs in the 1980s at the prison. Dr. Lewis says he tried to instill responsibility when training the inmate work crews he worked with at San Quentin. His university “foot” got the Villa Termiti built on the Berkeley campus, says Dr. Lewis. The 400-sq.-ft. wooden building — defined as “The House of the Termite” — is used to test for drywood termite detection and control methods. Dr. Lewis “conducts” a termite inspection in 1991. Over the past 26 years, Dr. Lewis has given more than 700 entomology presentations, an estimated 65 percent of them directed toward pest management professionals (PMPs) to assist them with their training and development programs. Dr. Lewis now finds himself concerned with his faculty position at Berkeley. 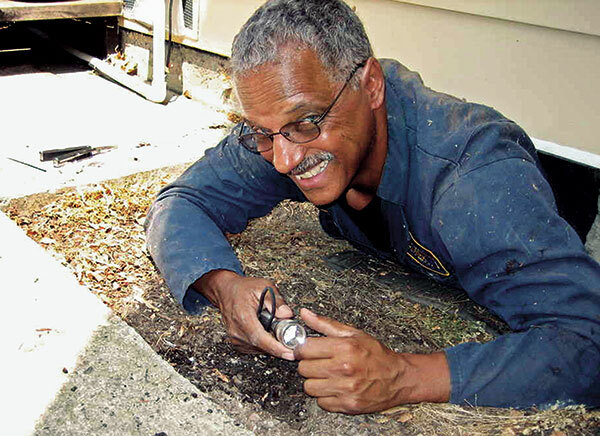 Dr. Vernard Lewis still crawls under the occasional house before retirement. Dr. Lewis was in Japan on sabbatical leave from the University of California in 2011, when that country was hit by a major tragedy. “I was a three-hour bullet-train ride away from the nuclear plant that caused a major part of the country’s problems,” he says. Dr. Lewis was stationed at Kyoto University, working as an urban entomologist. Jerry Mix, a 2005 PMP Hall of Famer and editor-at-large, can be reached at pmpeditor@northcoastmedia.net.